Our sites get insanely high conversion rates… you just have to personalize them to your business and your local market, then send traffic to them! Don’t worry, we’ll show you how – it’s easier than you think. Wondering how to generate leads in real estate – or maybe you want more leads for your business? Fear not… you have come to the right place. Check out this video (it’s <7 minutes) to see how to generate leads in real estate. Over time this blog has shared some not-so-secret formula for lead generation: Traffic + Conversions, and I’ve told you about a bunch of great strategies for building traffic. If you haven’t read those posts, click those links to check ’em out… I’ll try not to duplicate much here. In the video above, I deliver a short overview on how investors generate leads, including inbound and outbound sources. 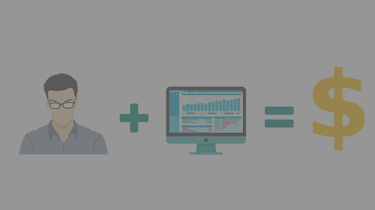 In case you’re not familiar, inbound can save you 62% versus outbound marketing. Both are valid ways to generate leads. Let me make it more simple. “Outbound” marketing is the kind that you pay for – like AdWords, Bing ads, and Facebook ads for real estate. “Inbound” marketing is the kind that you earn – with good content through organic search rankings. Get a step by step breakdown of how to leverage Carrot’s online inbound marketing platform to attract sellers, buyers, and tenants. Inbound marketing is all about credibility. People have to trust you in order to do business with you, so you have to create stuff (like a website) that shows that you’re credible. Our websites are written (and designed) to help you start off with high credibility right away. Once you personalize them with your information, you’re ready to start building traffic to the site. There are lots of great sources for traffic: Google, YouTube, Facebook, Craigslist, direct mail, signs… anywhere you can get in front of your target audience is a potential traffic source. 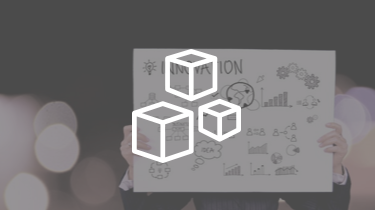 Each platform is different – that’s why we create extensive training programs to show you exactly what you have to do, step-by-step, to build traffic to your sites. Sometimes you get lucky and people find your site, all by themselves – but usually, it takes some work to get a site to rank on Page 1 for a highly competitive term. The majority of search traffic comes from page 1 – these terms are highly competitive, so it’s super valuable to invest in good SEO in your local market. We can help you. 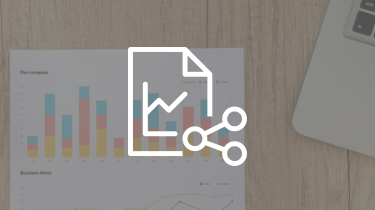 One easy way to build your rankings is to add quality content on an ongoing basis, written to help build your credibility and around critical search terms that people are using across the US. Our Content Pro members can click and schedule high-quality content to publish to their site without having to write at all of it. But blogging alone is rarely enough to solve the problem of how to generate leads for real estate professionals. You’ve gotta get people links to your stuff. You’ve gotta reach ’em somewhere. The cool thing about search marketing is that when someone types in a phrase like “how do I sell my house fast,” you know that they’ve got some urgency, some motivation – that’s what makes inbound marketing so great at getting super awesome leads. 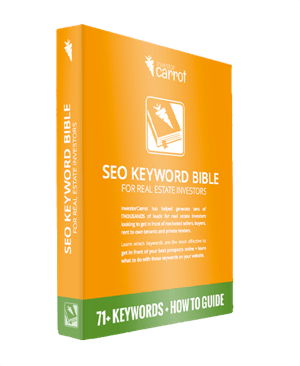 We compiled a great resource with the top keywords that investors are using to generate leads – you can claim your free copy here. You’ll also get access to a training video that will show you how to optimize your site around some of those terms and get started right away. Listen, search marketing is only one way to get traffic to your site. There are a lot of great strategies for building traffic to your site. Once you’ve signed up for your Carrot Membership, you have access to our Weekly Live Mastermind calls – those are the best place to learn how to generate leads in real estate. You’ll join dozens of members around the country – along with some of the best minds in real estate investment – as they dive deep into the strategies and pieces of a powerful funnel for real estate leads. You’ll learn how to build that powerful lead generation engine to take your real estate career to the next level – and it’s gonna do more than that. Once you get into the mindset of inbound marketing, you’ll start to see how to attract even more leads – in ways that you never thought possible. You might have heard about the Law of Attraction before, and maybe seen a movie called The Secret. If you’re like me, you’re more than a little skeptical. A lot of that stuff sounds like hocus-pocus, not the stuff to base a business on. I am not trying to tell you that if you wish for leads, you’ll get ’em. If I ask you “what’s your real estate marketing plan” and you say “wishing,” I am not going to want to help you grow your business… I’ll want to get away as quick as possible. Don’t get me wrong, we love talking to people and helping them grow their marketing… but Carrot wants to help people who are helping themselves. As the saying goes, if you’re wishing when you should be fishing, you ain’t gonna eat no fish. Honestly, it’s one of our biggest challenges we face as a company: the mindset shift. See, once people truly “get it”… once they understand that they can put in the time, the energy, and the dedication to take on the core skills of internet marketing – not necessarily the details of how to generate leads in real estate, but the strategies – once they really lock in on the power of inbound marketing, they behave differently. Because they know how to get the business to come to them. Think about it like fishing again – do you want the fish to come to you and catch ’em in a huge net, or do you wanna go out with a pole to catch ’em one at a time? Of course, you want the net. You want a great bait that attracts all the fish in that river right to your boat, and then you wanna scoop ’em up with the biggest net around. When a lot of people start out to generate leads, they are approaching it from a “transactional” perspective – they want to buy something that sends the leads to them. That’s outbound marketing: just pay for an ad to make the phone ring. With inbound marketing, you create awesome content that introduces your audience to the business. They find you by searching for a solution – maybe on Craigslist, on Facebook, on YouTube, on Google… there are a lot of places where people are looking, right now, today. Those motivated leads are gonna go to someone. They’re great leads. If you set yourself up right, those leads will come to you. At the core of it, you’ve gotta have an awesome website that converts – or else you’ll get the traffic, but it won’t become a lead. That’s no good. If you build a solid lead generation engine for your business, you’ll have leads for life. It’s a big goal, but don’t be intimated. Just sign up and get started today.